This time of year always causes me to be very introspective of my family. As I look over the the last few years and the posts I’ve written at this time of the year, this is when I usually write about our homeschooling. 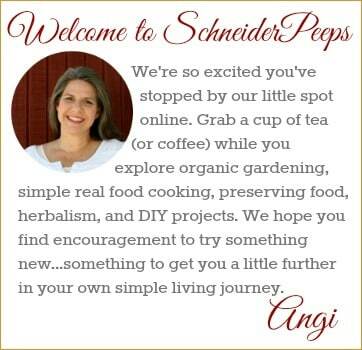 What our curriculum plans are, or how to get the most out of your homeschool co-op, or even our daily routine. This year is no different than others in that I’m spending a lot of time thinking about what we’ve done in the past and what we’re going to do this year. And yet, this year is completely different and even though we have a six year old, I feel the season of the empty nest slowly creeping up on us. It’s an odd feeling. And to be honest, I’m not real sure how I feel about it. What I do know is that there is nothing I can do about our children growing up and leaving home. It’s what is supposed to happen. And even though I have mixed emotions about it, I’m glad that they are brave enough to do so. It’s exciting seeing them grow up and follow their dreams. Dreams that I never thought they would pursue, and yet, here they are pursuing those dreams. I’ve written some about Josiah’s dream of becoming an actor a couple of years ago after he completed a year long training with AMTC. Right now he is at the summer program at the New York Conservatory for Dramatic Arts. Carl drove him to the airport almost four weeks ago and saw him off. Yep, our 19 year old flew by himself to NYC to go to school. Not that I didn’t offer to go with him. 😉 But he’s a man and men need to do brave things sometimes. He’s learned so much there and had the opportunity to audition for their two year program. And guess what? He was accepted. Of course, being his mama I had no doubt that he would be. So, our second son will be coming home this weekend and then leaving again in two weeks until Christmas. For the last three years Josiah has paid for all of his acting education by himself. Like all education, acting education isn’t cheap and he’s spent about $12,000 to pursue his dream. At the Conservatory it will be a little bit different in that there are scholarships and grants and we’ll paying a portion just as we have for his other college education. 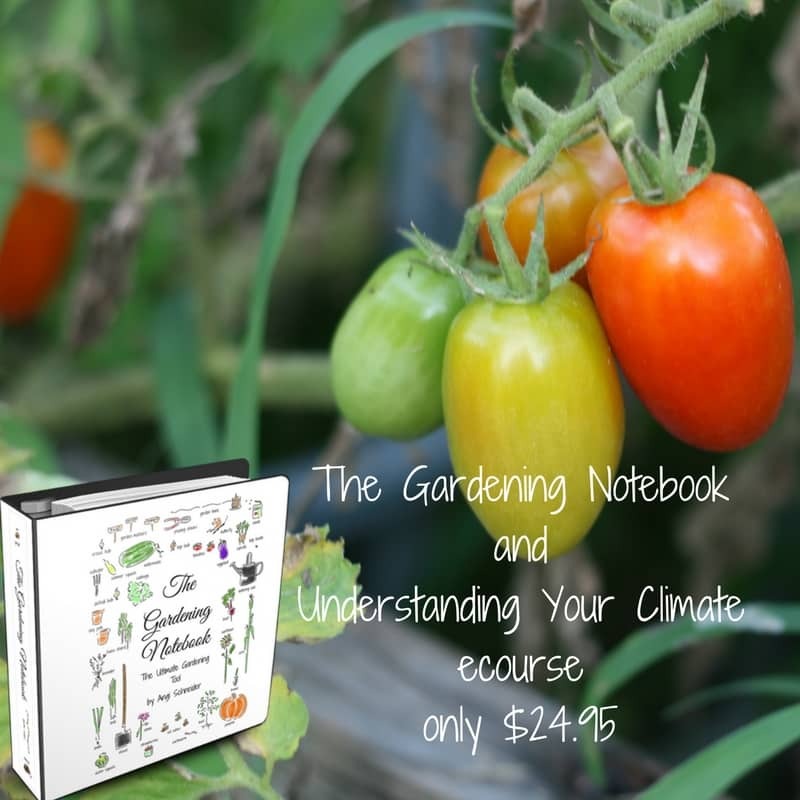 But the scholarships and grants won’t cover it all so we’re having a big blowout sale on The Gardening Notebook this month. I am not asking you to buy a gardening notebook. Unless you’ve been wanting one or have been wanting to buy it for someone else, please do not buy the ebook. 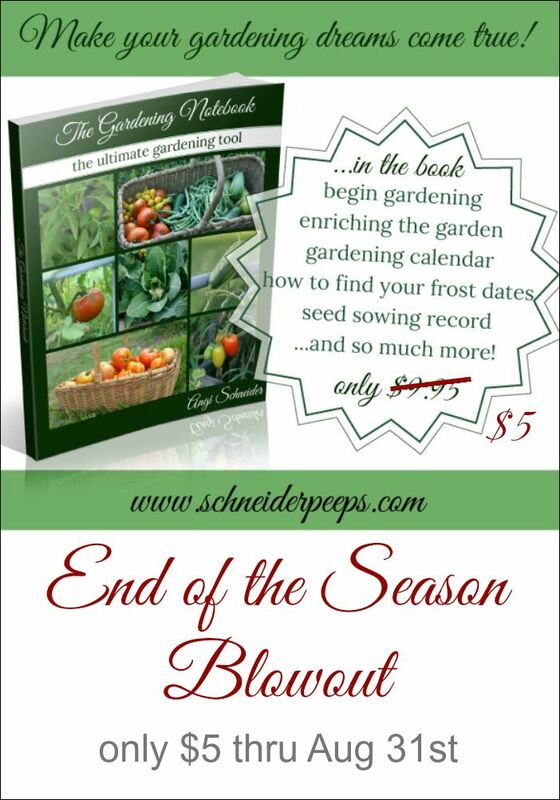 Instead, I’d love for you to share the sale with your gardening friends, either in real life or online. 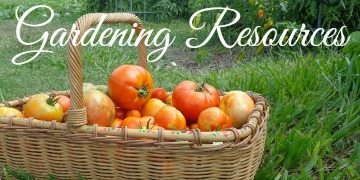 This is really the time of year that gardeners need to be jotting down notes about what worked and what didn’t work for them this year. 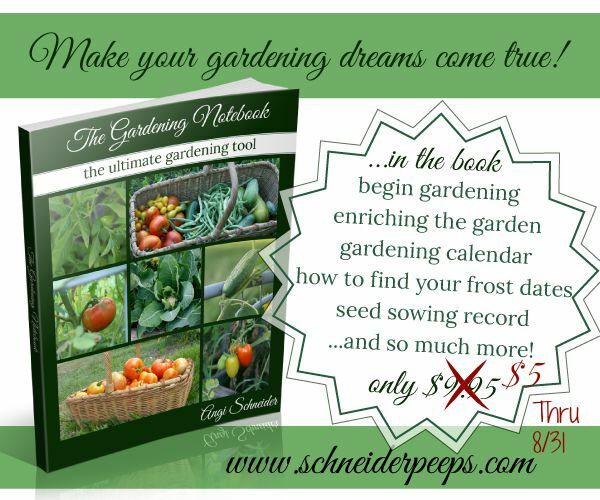 Here’s how the sale will go, The Gardening Notebook will be $5 through Aug 15th, from Aug 16-23rd it will be $7 and from Aug 24-31st it will be $8. No code needed. We decided to keep the sale at $5 for the whole month!